A candidate in line to be the next provost is planned to host an on-campus Q&A forum Wednesday. Dr. Teresa Dahlberg, dean of the College of Engineering and Computer Science at Syracuse University. Photo via Syracuse University. 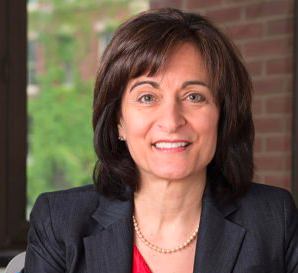 Faculty, staff and students will have a chance to hear from Dr. Teresa Abi-Nader Dahlberg, one of the three candidates running for the position, during a 2 p.m. open forum in the Brown-Lupton University Union auditorium. Dahlberg is currently the dean of the College of Engineering and Computer Science at Syracuse University. As Dean, Dahlberg has been credited with stabilizing the university by reducing expenses, expanding revenue and engaging university leaders to carry out practices involving budget plans, academic strategies and advancement plans. Dahlberg also enacted efforts that broadened participation and community engagement within scholarship programs at Syracuse University. Dahlberg served as Dean for the Albert Nerken School of Engineering where she initiated an increase in the size and diversity of faculty across campus. Chancellor Victor Boschini said he hopes to name a successor to Provost Nowell Donovan in December. The provost serves as the university’s chief academic officer and is ultimately in charge of faculty and curriculum matters. Donovan announced in the spring that he would be stepping down at the end of this academic year. The Chancellor’s Chief of Staff, Jean Mrasek, said those attending the forum should bring their TCU I.D. to register for attendance and provide electronic feedback afterward. The electronic feedback will allow attendees to check whether or not they recommend the candidate for provost and rate various aspects such as academic mission, leadership, diversity and inclusion, said Mrasek.